Just how do you know which is the right variety of turf for your new lawn considering the number of different varieties on the market? Harden Park Lawns has an easy guide to help you to determine the variety of turf that best suit your unique requirements. No one variety will suit all yards so if you are still unsure after reading through the guide, contact our team for personalised assistance. Except for in high altitude areas, warm season grasses are suitable for year round growth in North Queensland. The brands provided by Harden Park Lawns are all specifically chosen for our tropical conditions. Learn more about Platinum Zoysia click here. Learn more about Sir Walter Buffalo click here. Learn more about Queensland Blue Couch click here. Learn more about Tropical Turf Broadleaf Carpetgrass click here. From the guide above you can decide which variety of turf would work best for you based on your individual yard requirements as well as how much traffic it will receive and how much maintenance you are prepared to do. 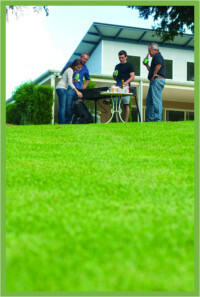 At Harden Park Lawns we offer only turf varieties that are designed and grown to suit the local climate and location.